Satyanarayana Swamy Pooja is done to get blessing from Lord Satyanarayana Swamy and chanting chorus of his mantras. The major part of the pooja is telling the great stories of the god himself and about his gracefulness for the people. One must needs to do fasting, the place where the devotee do fasting must be very clean there only the poojai is going to be held. A size of Satyanarayana Swamy Picture is used for the poojai. When To Perform Satyanarayana Swamy Pooja? 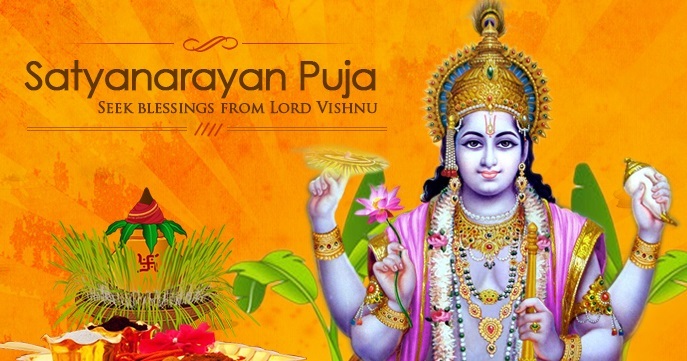 Pournami, Saturdays & Ekadasi are the best day to be very special days to perform this poojai. This poojai is perform only after fasting.